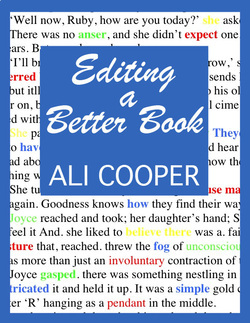 A comprehensive guide to editing, aimed primarily at authors self-editing novels prior to publication or submission to agents and editors. Much of the book also applies to non-fiction and to editing for others. The first deals with the structure and plot, the second with specifics such as characters, dialogue and continuity, and the third with the details of grammar, punctuation and line editing. Within each section, topics are organised into short chapters. I can’t guarantee you will write a good book, but I can suggest things you should look for when editing and give tips on how to find and correct common mistakes. Suitable for UK and US English.